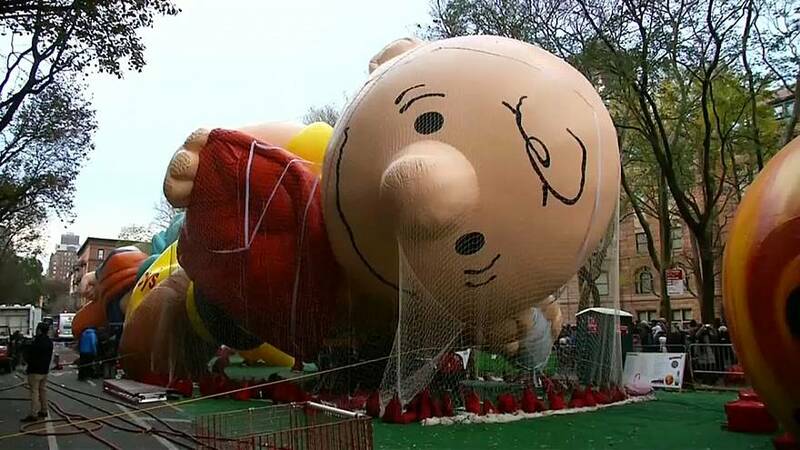 Giant balloons were blown up on Wednesday ahead of the 92nd annual Macy's Thanksgiving Day Parade. Balloons depicted characters including crowd favourite Charlie Brown and Goku from "Dragon Ball Super: Broly." In total, six new characters were introduced to this year's parade. The parade through Manhattan was also set to include clowns, cheerleaders and marching bands.